It’s a Friday afternoon at the Zamethule Primary School. In an open field a group of youngsters are standing proudly with their dogs next to them. Their warm smiles and obvious pride are con-tagious. Younger children watch admiringly as the handlers take their dogs through their paces, guided by instructors (some of which have gone through the training programmes themselves). It’s an inspiring scene, made all the more remarkable given the preconceptions that exist in the surrounding area about dogs’ place in society. Traditionally, dogs in the area are used as watchdogs, kept outside and are often feared. Fun-da Nenja’s work has slowly but surely changed this perception. 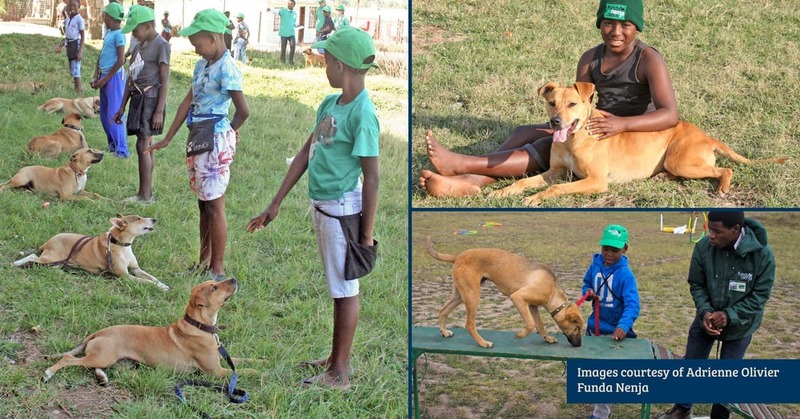 Started in 2009 by volunteers as a registered non-profit organization, Funda Nenja (meaning ‘learning with dogs’ in isiZulu) today employs 4 people, including an educational officer and social worker, and a team of assistants and volunteers who all get paid a stipend, numbering 25 in total. “Over the years that we have worked in Mpophomeni we are seeing that change, with dogs now being regarded more as companion animals, some of which are even lucky enough to be allowed to sleep indoors at night,” says Oliver. Funda Nenja’s activities in the area consist of three touching points. The dog school teaches basic dog training skills and teaches children how to care for and communicate with dogs on a weekly basis during school terms. The overall health and welfare of the dogs are monitored, and dogs in need of veterinary care are referred to uMngeni SPCA who also sterilize dogs for a nominal fee. 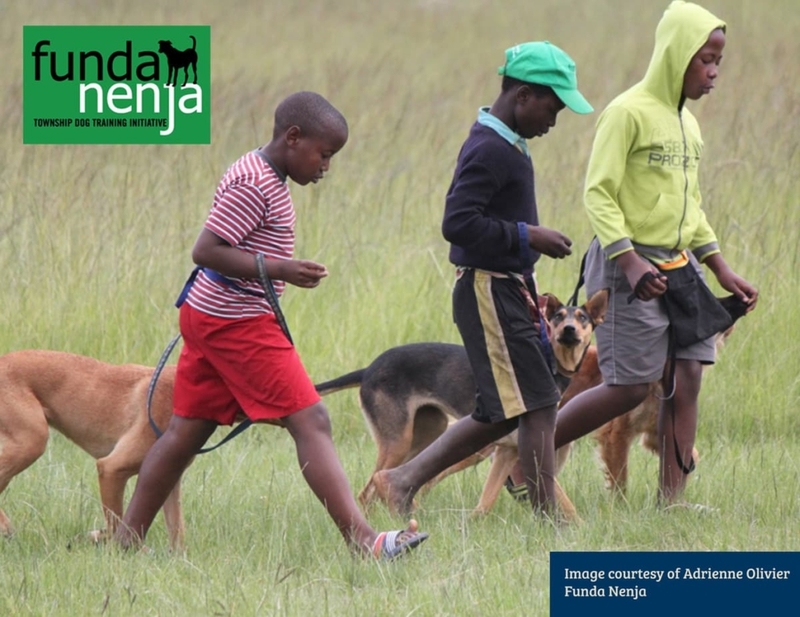 An extension of the dog school is Funda Nenja’s School Education Programme, where trained facilitators teach life skills development to primary school learners and educate them on envi-ronmental and animal welfare issues. And because a child (and dog) is also part of a family and bigger community, Funda Nenja also offers a Family Support Programme in which a social work-er provides services and support to children, caretakers, parents and extended family. However, the whole initiative’s starting point is the children’s relationship with their dogs. “By offering dog training classes to the community, bonding and education takes place, and both the dogs and their humans enjoy a richer relationship and a happy healthy life together,” says Olivier. And judging by the confidence exuded by the proud animal owners, things have only just started. To find out more about Funda Nenja’s work or make a contribution, follow their Facebook page or check out the Funda Nenja website.